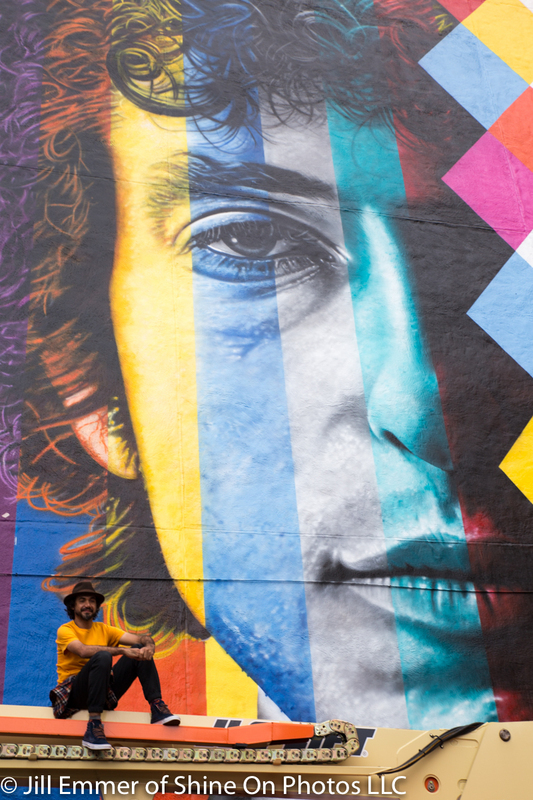 Hi, if you read my recent article in Citinerary then you already know that a huge Bob Dylan mural is being painted in downtown Minneapolis by the famous Brazilian muralist Eduardo Kobra. You also may know that I am bursting with pride at the fact that my friend Erin Sayer was asked to help paint! Kobra traveled here with three artists from Brazil. Once here, they enlisted two local artists to help: my friend Erin, who is a talented Minneapolis muralist, and Yuya Negishi who is also a very well known Minneapolis artist. Today was officially their last day. The mural was completed a day ago with the exception of the signature. The artists returned this morning to take a few photos and to watch Kobra sign it. Somehow I was lucky enough to be asked to sneak down and be a part of the small media group that watched. on their way up to sign - Kobra is on the right in the yellow shirt. There were all sorts of very kind media people with fancy cameras, tripods, video equipment, etc. And here I was, a mom in her minivan with no press credentials and mostly shooting with an iPhone! the 6 artists posing for the media. I asked them to climb up onto their huge orange lift. I had been envisioning a photo similar to the famous one of the construction workers sitting on a high beam in New York City. then they ventured out onto the arm! My dream had become a reality! 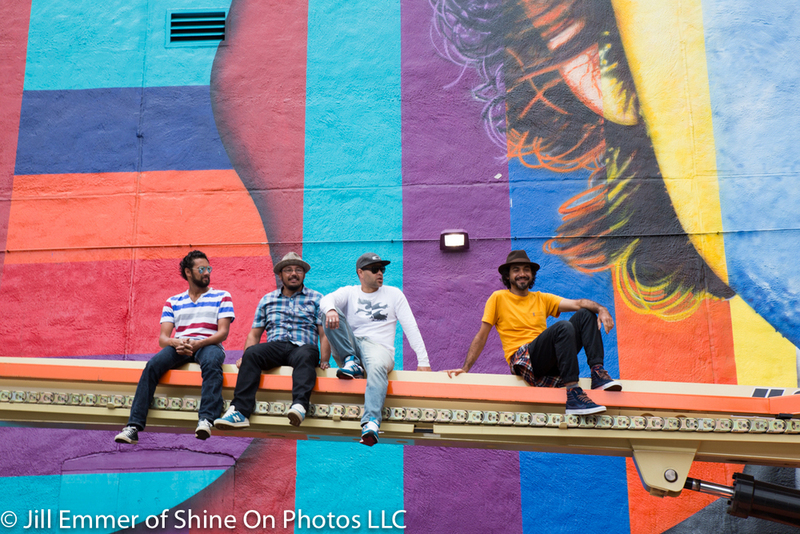 The 4 guys who added so much color to our Mpls world! After the boys posed for a few shots, they were on their way to the airport! I was overwhelmed with the feeling that I had just witnessed a historical event for my city.